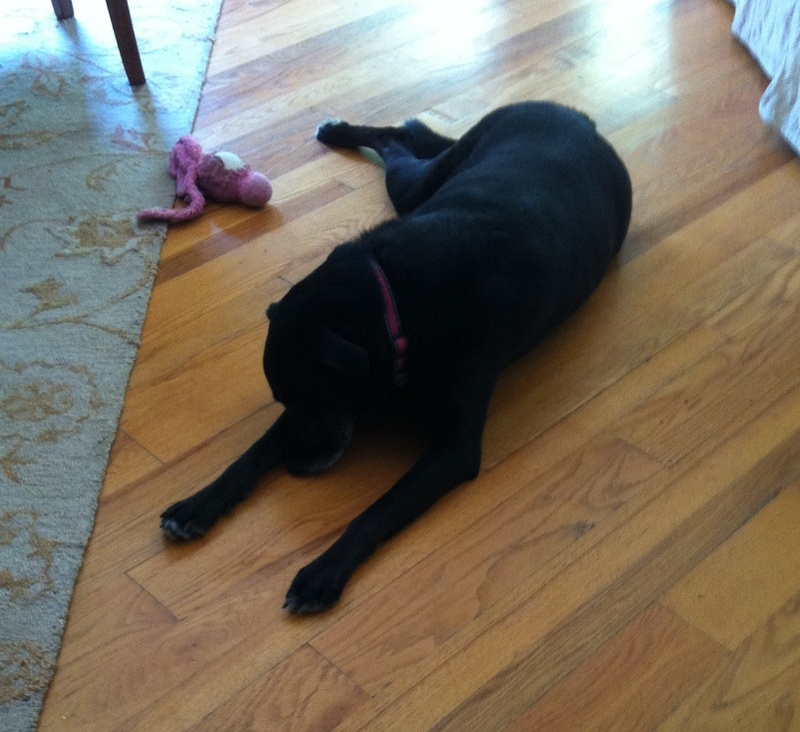 She is settling in very nicely. 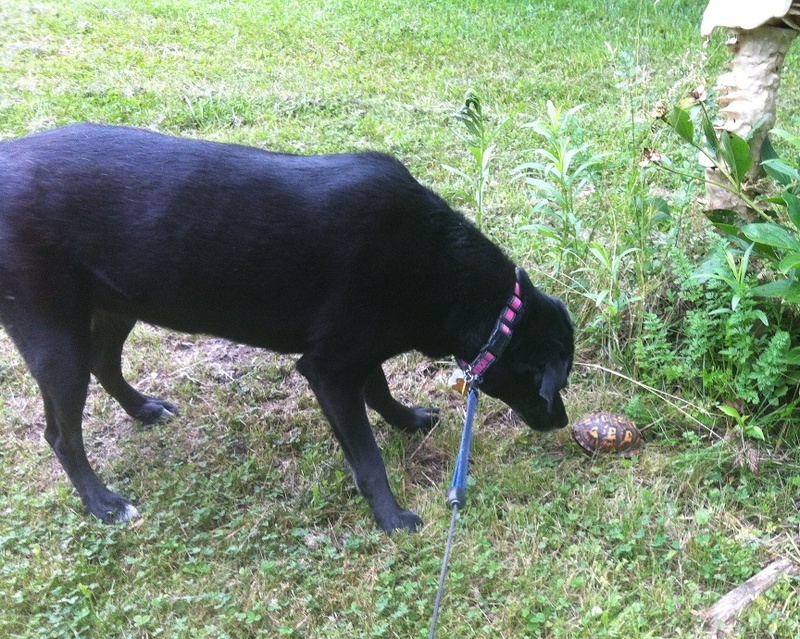 Trixie found this turtle all on her own, and led me to it. What happened next was so funny….the turtle retracted its head quickly and she jumped backwards, not sure what to make of it. 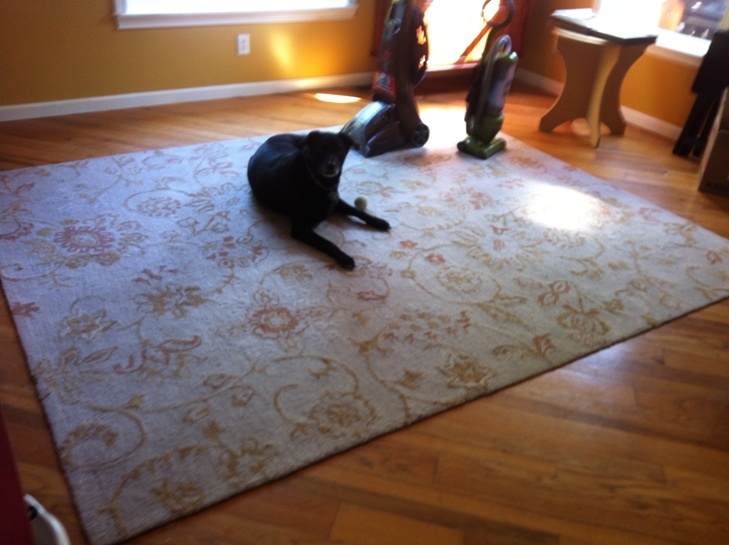 This entry was posted in Blog Update and tagged dogs, new house, Trixie, turtle. Bookmark the permalink.